Workforce.FM is field service management software, designed to make your job simple. Our quotes features allows for fast and efficient quote sharing and integration with customer portals and other key information fields, so that all the information you need for a job from start to finish is in one place. 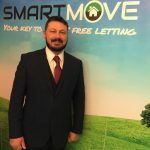 When it comes to delivering an accurate and timely quote to prospective customers, a disconnect between office staff and field workers can cause delays and become a significant barrier to converting a quote into a job. By enabling quick and straightforward quote creation on an integrated, cloud-based mobile platform, Workforce streamlines the path to conversion for field service teams. 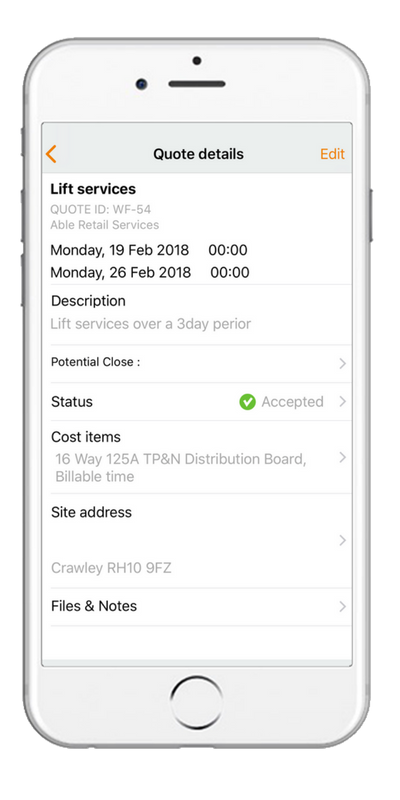 With an intuitive quote creation tool built into a simple and straightforward Customer Portal, our app gives field workers greater freedom while keeping office staff and management firmly in the driver’s seat. 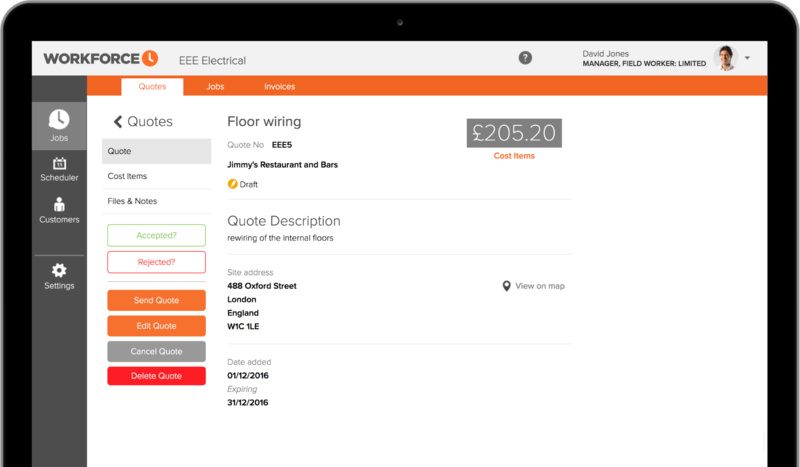 Building and delivering a quote to a potential customer is incredibly simple in Workforce with our quote creation tool. The user-friendly interface guides the field worker through the process of raising a quote for faster delivery. Quotes can be created either by office staff or field workers, with office staff controlling the permissions at the click of a button. Users can add files and notes to a quote, such as paperwork or a copy of your company’s terms and conditions, before sending it to the customer. You can even personalise your quote by adding a logo. Once sent, details of all your quotes are saved. Accepted quotes are easily converted into jobs and those that are rejected are archived. Details of all quotes can also be exported as a spreadsheet for use in external reporting. 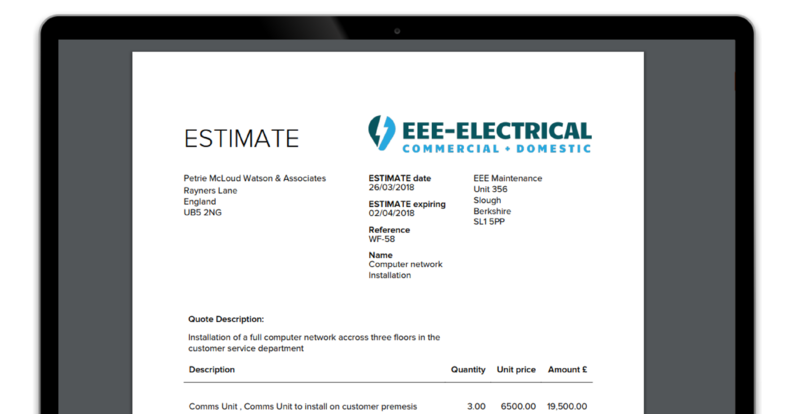 The quote creation tool integrates with the Customer Portal, which gives customers access to information including quotes and allows you to determine basic information such as names and addresses. Through the portal, you can also direct message customers, saving you valuable time on administrative tasks. Customers have the ability to reject or accept quotes from within the customer portal, where details of all quotes given to them will be available to view both by them and by members of staff. If a customer accepts the quote, it can be easily converted into a job at the click of a button. From there, it can be scheduled and updated for straightforward and hassle-free completion. We know that the quote creation tool in our field service management software is going to make your customer relationship management and productivity far more efficient. In fact, we’re so confident that we’re willing to let you find out for yourself for free. As part of our free trial, we provide you with full access to all of Workforce’s amazing features for 14 days, during which you will not be asked for any payment details. There are no auto-subscriptions; should you want to continue using Workforce after the trial period is over, you can sign up from within your account. If not, your account will automatically close after the 14 days are up.